Minor problems intervene however, like Elon Musk’s “dubious” reputation for meeting announced deadlines. Then we have truly major problems, especially overcoming the deadly radiation of deep space. I doubt that Musk has found a way to compress and lighten water or lead to surround his capsule with a meter of same to protect his high net-worth passengers from all that radiation and yet lift such a heavy load into low earth orbit, much less beyond the far side of the moon. A moon flight of 400,000 miles and back encounters the radiation of the Van Allen belts out to approximately 50,000 miles, plus deadly cosmic rays throughout deep space plus frequent and unpredictable solar flares (aka: solar particle events). Five days of intense radiation imply two dead passengers and intensely unhappy families. Radiation is a deal breaker for Musk’s moon reverie for openers. And the technical challenges yet to be overcome for manned flight into deep space remain legion. But didn’t we already do a fly-by as well as land on the surface of the moon to play golf nearly a half century ago in the Apollo program? The government and major media would not lie about such serious matters, now would they? Surely I jest. Too bad Vegas is not taking wagers on the odds of successful manned flights beyond the moon within the next two years. As I wrote earlier on this blog, a “return” to the moon is so much moonshine. As President, Obama slashed the budget of the space program for good reason. As a young man, known as Barry Soetoro, he was part of a group that did space travel, time travel and teleportation experiments for the military. Among the things he had done with this group was a trip to Mars. He knows that space travel is a mind trip and not a physical trip. Several members of the group have become whistleblowers. Our physical reality is an illusion and so is time. Without time there can be no beginning or end, and so the Big Bang theory becomes a Big BS theory. When you peel away all the layers of the onion nothing really exists but universal consciousness (UC). The first layer of the onion is information. All information imaginable is available from UC. All of us are connected as a minor subset of UC. Our reality is our awareness of the present moment focusing on a tremendous amount of information which represents an insignificant portion of UC. (This idea corresponds with the famous double slit experiment.) We acquire this information from our five senses as well as telepathically from one another or directly from the source by remote viewing, channeling, intuition, etc. We are steering our point of focus through the information within UC giving the illusion of time. If you develop and expand your consciousness, you have your hands on the steering wheel, otherwise you’re just along for the ride. Groups like science fiction writers and the motion picture industry have a firm grip on the steering wheel. It’s no coincidence that Rod Serling’s Twilight Zone was canceled, and he was given an hour long show of which he had little control. The worldwide educational system and world religions were designed to control our thinking and stabilize our reality into what it has been. Physicists and astronomers are very intelligent people focused on the movie screen when they should be focused on the movie projector. Some of our top scientists are shills, set up as authorities telling us what to believe. You probably can think of a couple right off the bat. There are countless other focal points within UC each of which represent its own reality with its own concept of time. These realities can affect each other. Andrew Basiago is one of the whisleblowers who went back to Ford’s theater the night Lincoln was killed. He went back several times and said that each time he went back that there were slight differences. This tells me that the primitive technology used at the time would miss its target ever so slightly. When you travel to the past you could arrive at a past that never was. When you travel to the future you could arrive at the future that will never be. He won’t have Stanley Kubrick to help him. Maybe James Cameron or George Lukas could help him pull it off. Morgan: you know I hold your work on 9/11 in very high esteem. On the subject of Space X here, you raise good points. Radiation is a killer in space over prolonged periods. However, the NASA and Popular Science crowd have replied explaining that the Apollo capsules just managed to rocket through the Van Allen Belts in a short enough time to avoid a lethal dosage, choosing the angle well. One meter shielding of water or lead is perhaps not necessary: the calculations are laborious and I haven’t done them. Nevertheless, mainstream scientific publications already admit that a trip to Mars with conventional rocketry taking close to one year poses serious radiation hazards. The Moon is much nearer. However, looking at the proposed Space X Dragon capsule, I agree that it does not offer adequate shielding. The comment from the previous poster, Robert Salt, is intriguing, although I don’t think I would go as far as he does. While I agree that there has been secret ET interaction, I do not think we live in a computer simulation. The love of my mother is not a computer simulation! But yes, I suspect there is a secret space program far in advance of anything mainstream media or the government will admit, with the ability to annul gravity and take selected forces to Moon and Mars bases. We do not live in a computer simulation, but I do think we live in a big illusion, projected by God through the more or less willing consciousness of each of us. Something like that, anyway. Love, fear and other emotions are outside the simulation. I believe that the development of technology corresponds with the ability to control the thoughts of the masses (the computer). Thought control became serious business when newspapers first became published. By the time radio and TV were developed, it was like a snowball rolling down the hill creating an avalanche. Groups like the Amish regard mind control as evil, and that’s why they reject technology. 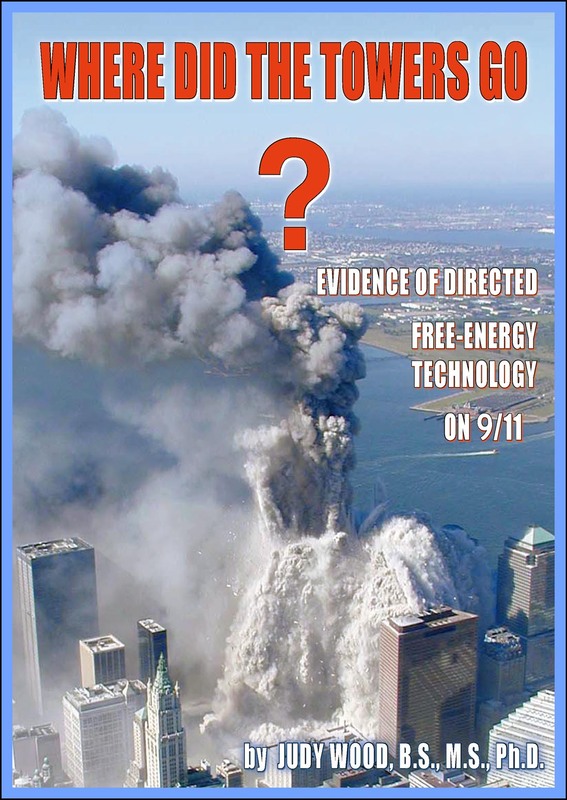 The weapon that was used on 9/11 could not have existed 100 years earlier. The mathematics program has been decimated in the education system for a reason. Globalists want everyone to accept whatever they’re told and not think for themselves. When Obama was a young man involved in teleportation, time travel and space travel experiments, he was told that one day he would be President of the United States. That’s how rigged the system had become, and it wasn’t rigged by the Russians. Obama was chosen for his ability to lie with a straight face while maintaining an authoritative yet friendly demeanor. Consider these three suppositions: (1) suppose the world is round, (2) suppose astronauts have physically traveled to the moon, (3) suppose we have had unmanned probes into deep space. Ask yourself why is it that we don’t have any real photos of Earth from deep space. We know the ones we have been shown are fake. Cloud formations are random. The ones in these photos are made up of five or six composites repeated over and over. What’s more clouds are misty and foggy and not sharply defined like the ones in these photos. The photos of earth taken from the space station are authentic and show a curved earth, but there are lenses that can be attached to cameras that will make anything look curved. The earth is not round or flat or concave like one astronaut claimed. It is a hologram or a computer simulation. The computer is our collective consciousness. Your body is part of the simulation made up of information. You are a spirit assigned to that body for its duration. Bernie Mendez was an ET negotiator for Richard Nixon. When Mendez tried to discuss planets with ET’s they didn’t know what he was talking about. Mendez thought they were playing dumb. What we recognize as planets, ET’s recognize as other realities. Earth is our reality. You can’t take a rocket ship to another reality, but you can teleport there and exist there physically. When Obama was a young man, he and whistleblowers Andrew Basiago, Brett Stillings, Bernie Mendez and others went to Mars from what they called a “jump room” on the west coast. Could it be that we’ve been lied to since the day we were born? Are we that naive?